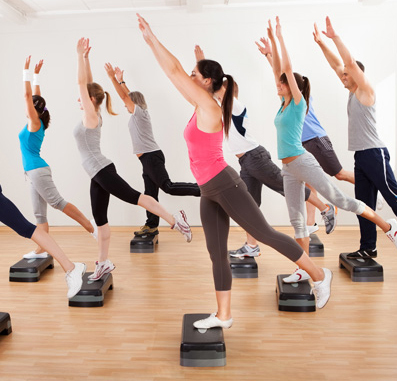 eing active and doing some elegant physical activities or exercises, are essential, highly beneficial, and recommended part of any successful weight-loss or weight-maintenance program. These activities help people in burning their excess calories; in strengthening muscles, heart and lungs; in increasing flexibility of body parts; and in averting the possibilities of the awkward growth of body parts. Right dieting and perfect exercises are vital part of any weight-loss program. Information about the right and proper dieting for weight loss, has been given in ours other web-pages. In ours this very informative and profitable webpage, we are providing refined information concisely about the various types of exercises for weight loss, applicable to teenagers and adults alike. When you exercise, your body consumes more energy or calories; and when you burn more calories than you took from your standard diet, you lose weight. One Pound (approximately 0.45 Kilogram) equals 3500 Calories of fat. Thus, if you somehow (using any exercises) burn 500 more calories from your daily diet, you would lose 1 pound in a week. For this purpose, there are a variety of exercises available to be used properly and most profitably. Depending upon the specific exercise, intensity level, time-duration, and the individual situation, varies the calorific expenditure. Generally, the weight loss exercise programs cover many different exercises. In general, the sessions of these exercises should last at least for 10-30 minutes every day. Some of the best weight loss exercise programs or the weight loss exercise routines, are separately listed in the section below. Individuals with varying age can promptly lose weight fast with exercise plans mentioned below. In general, the weight loss exercise programs for men and women cover four main categories of exercises. There are --- Cardiovascular exercises, popularly known as the Cardio workouts; exercises for increased strength and resistance; exercise for body flexibility; and exercises for body balance and coordination. The Cardio exercises are most common and highly preferred form of weight loss exercises, because of being very effective in increasing stamina (through elevating heart ad breathing rate) and metabolism. Today, the most liked and appreciated cardio exercises are ---- High Intensity Interval Training (HIIT), rapid outdoor Bicycling, fast Swimming, Jogging, Jumping Ropes or Skipping Rope, Hiking, playing Tennis or Basketball, Zumba, Kettlebell, Plyometrics, etc. Activities at Gymnasium using equipments like Treadmill, Elliptical Trainer, Weight Machine, weight lifter, etc. Games of Sports like Basketball, Baseball, Football, Tennis, Volleyball, Racquetball, etc.